Nearly all Americans will experience some form of tooth decay in their lifetimes. Untreated tooth decay progressively erodes the infected tooth and causes more serious problems. Since bacteria cause tooth decay, forgoing treatment risks spread to neighboring teeth, multiplying dental health issues. It is very important to remove the decay, clean the area, and restore the tooth. Regular cleanings performed by a dental hygienist are important in maintaining your oral health. Over time, bacteria in the mouth clusters to form both plaque and tartar on the surface of the tooth, which can lead to tooth decay and gum disease. During your cleaning, the hygienist will remove the plaque and tarter from the tooth surface and polish your teeth to remove any surface staining. Small problems can become bigger issues if left untreated. Therefore, regular examinations can help detect, prevent, and treat problems before they become serious. 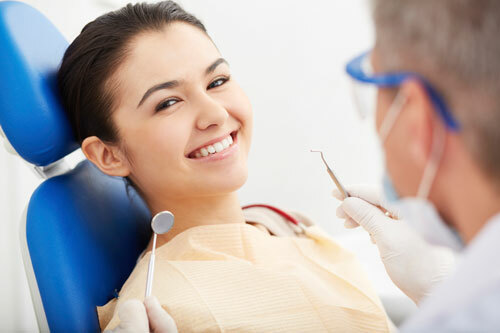 Dental examinations include screening for gum disease, oral cancer and tooth decay. X-rays are essential for early identification of dental abnormalities. Discovering problems early prevents extensive and expensive procedures in the future. X-rays can assist in detecting tooth decay, impacted teeth, cysts and tumors. 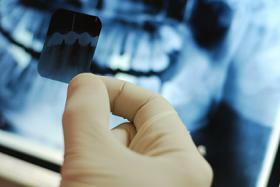 At Anthony J. Hoffman, DMD, our dental team uses digital x-rays. The advantages of digital x-rays over film based x-rays include instantaneous viewing, they emit up to 90% less radiation, and no harmful chemical are required to process the image. Sealants are placed on the biting surface of the back teeth to help prevent tooth decay. The sealants seals the natural grooves of the tooth to prevent bacteria from becoming trapped within them. While sealants are a preventative and effective way of reducing the chances of tooth decay, they are not permanent solutions. Sealants do not replace the need for regular brushing or flossing. Periodontal disease is responsible for the majority of tooth loss in adults. Early symptoms of the disease include red, inflamed gums and bleeding during flossing or brushing. Gum disease leads to deterioration of the bone that forms a pocket between the teeth and gums. Without treatment and continuous care, gum disease can lead to bone loss. Although the disease is not curable, it can be controlled with proper hygiene and regular visits to the dentist.